Buffalo Tours has become one of the youngest sucessful brands in the Asian travel marketplace. The Brand’s backbone is its values centered around upkeeping the IDARE spirits, dare to do, dare to think. 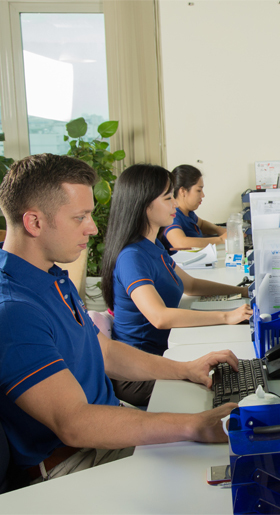 In a natural way, Buffalo Tours had set the foundation for the destinations management business of Thien Minh Group (“TMG”), a holding company established by Kien in 2006 to set up the foundation for a multi-million dollars travel integrated business. 2006: TMG established Intrepid Vietnam joint-venture which now PEAK Vietnam, joint-venture with the PEAK Adventure Travel Group, partnering with one of the most well-known enterprises in the Adventure Travel field, TMG were able to serve more customers who are particular into adventurous journeys. 2008: Established Buffalo Tours Sales office in Sydney, Australia. 2009: Opened Buffalo Tours offices in Laos, Cambodia and Thailand. 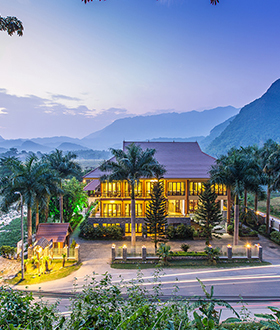 Alongside with the consolidation and development of the destinations management business, TMG made its first move into hospitality business by launching Mai Chau Lodge in 2007, the first international standard hotel in Mai Chau. Mai Chau Lodge offers not only hospitality services such as accommodations, meals, transportations but also provides unique local tours like trekking, biking, kayaking, and rock climbing, etc in bringing the unique characteristics of Mai Chau to international and local visitors.